China Joy 2018 took place in August and plenty of tech CEOs held keynotes. 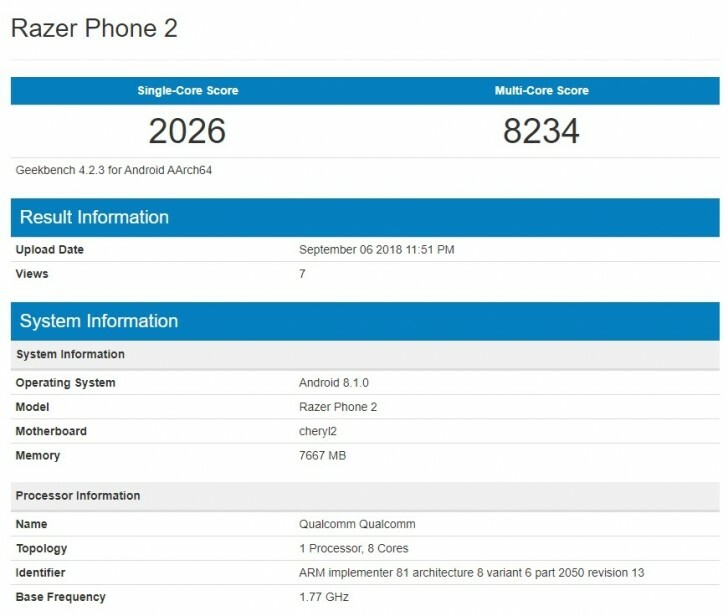 А Razer official said at the conference to expect Phone 2 in December, and it has just appeared on Geekbench, revealing some of its specs. The phone was benchmarked with 8 GB RAM and Snapdragon 845 chipset, contradicting previous reports by Chinese media that the device might have the upcoming 855 SoC. Both the single-core and multi-core results are a bit lower than other competitors reached, but the phone is still in development, so reading too much in those numbers would be a mistake. Although the SoC is not listed by name, we know it because the identifier is the same with other SD 845-powered phones. Similar to the first Razer Phone, this is also expected to boot the previous Android Oreo OS out of the box, but should switch to the newer Android Pie in the months following the announcement. 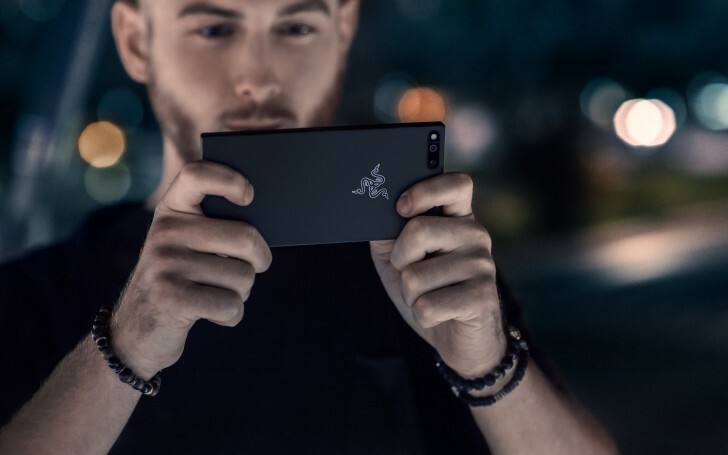 The Razer Phone 2 is expected to run the chipset in a more optimized fashion and to arrive with virtual 7.1 surround sound. Referring to Poco of course!